Carnival is hands-down one of the best perks of visiting the Caribbean. The vibrant colors and lively spirit of the event keep up for several weeks, with plenty of parades, music, costume contests and phenomenal food and drink. 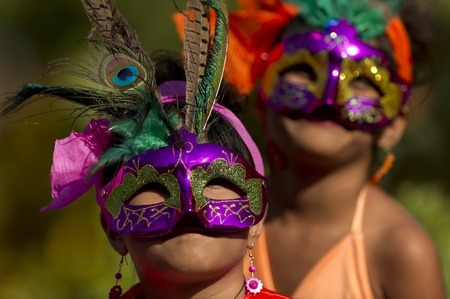 On Aruba and Bonaire, Carnival typically takes place just before Lent—one last hurrah before a traditional time of sacrifice, almost like Mardi Gras in New Orleans. Here’s a brief tour through the festivities you can expect to see this January and February on Aruba and Bonaire. 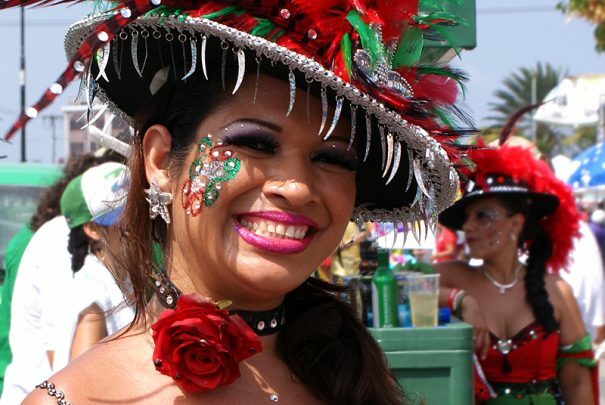 Carnival is celebrated on Aruba with “jump ups”—fabulous street parties—and fun events like parades, Carnival Queen elections and other friendly competitions. The Lighting Parade in downtown Oranjestad is not to be missed. Held in the evening, this parade incorporates thousands of tiny lights into the costumes and floats of participating Carnival groups for a truly impressive display. 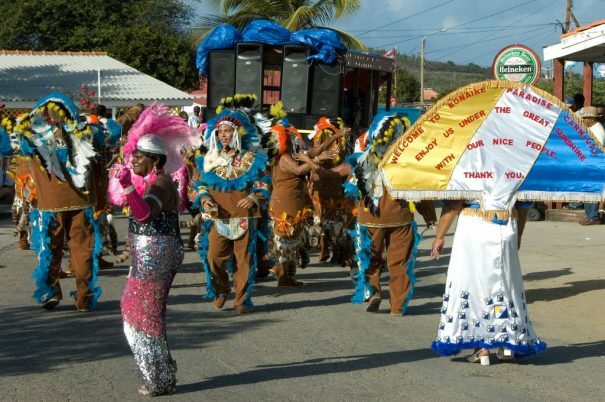 Grand Parades in Oranjestad and San Nicolas are the biggest parties of the season. They completely take over their respective cities as participants decked out in glitter, feathers, sequins and elaborate headdresses dance down the parade routes, joined by colorful floats playing music. Hundreds of spectators enjoy the show-stopping pageantry in this vibrant tradition now in its 63rd year. Carnival—or Karnaval, as it’s often called—is also a major event on Bonaire. The celebrations begin early in the year with tumba music festivals, most of them taking place in either Kralendijk or Rincon. Tumba is an African-influenced type of music that originated on the ABC islands. It also carries hints of merengue and Latin jazz. Local tumba musicians compete for the opportunity to play in parades throughout the season. “Jump ins,” similar to Aruba’s “jump ups,” also happen frequently. Jump ins often move spontaneously from place to place through the streets of Bonaire’s major towns, accompanied by an explosion of music, dancing, eating and drinking. Tourists and locals alike take part in jump ins, but remember to bring ear plugs if you’re sensitive to sound! Grand Karnaval Parades are held in Kralendijk and Rincon shortly before Ash Wednesday, the beginning of Lent. Participants in vibrant sequined costumes march and dance through the streets to the rhythm of tumba music. It’s a true spectacle and a dazzling centerpiece of Bonaire culture. 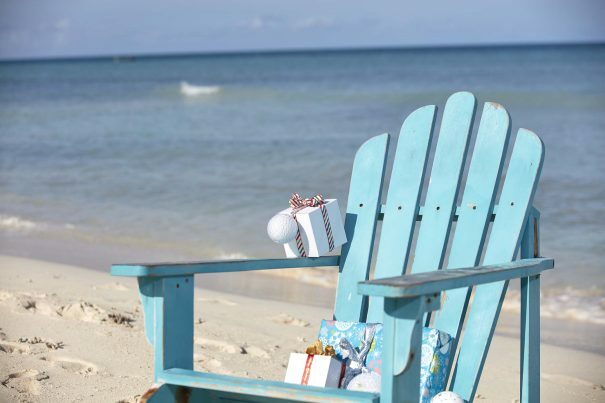 From all of us in the Divi Resorts family, we’d like to wish you and yours a very happy holiday season! We’re so grateful for your part in making our resorts the amazing and unique tropical havens they are. We’re honored to serve you every day of the year. Hope your holiday is filled with comfort and joy! Are you exhausted from the busy demands of the holidays? Is the daily grind getting to you? Believe it or not (don’t laugh! ), December is National Stress-Free Month. You deserve a vacation. We know it can be overwhelming to plan, but it’s worth it: according to recent scientific studies, vacations can actually improve your health. Most Americans never take their full paid vacation time. Maybe it’s time for a break. Not only do vacations relieve stress, scientists have found that regular vacations can help your heart stay healthy, improve your mental well-being and improve your relationships. Okay, we might be a little biased, but the science is right there! 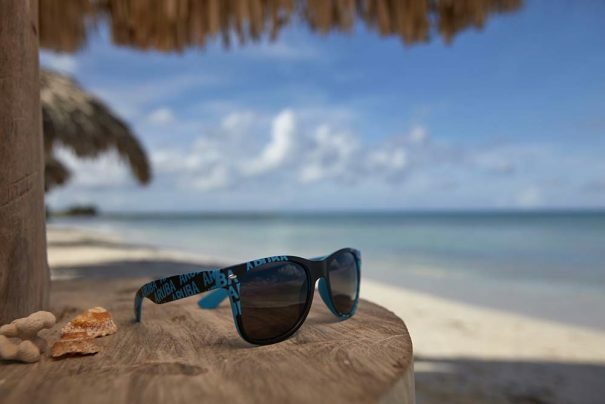 Now you have your excuse to escape somewhere warm and sunny, like the Caribbean. Check out our resort + air bundling tool to book your accommodations and flight all in one go. National Stress-Free Month, indeed. Which Caribbean island is so devoted to the happiness of its visitors and residents that it employs Happy Information Officers? You know the one. It’s made a name for itself as the “One Happy Island.” It played host this fall to the first Happiness 360 Conference, where leaders in tourism from around the world discussed how to bring more happiness into the tourist experience. 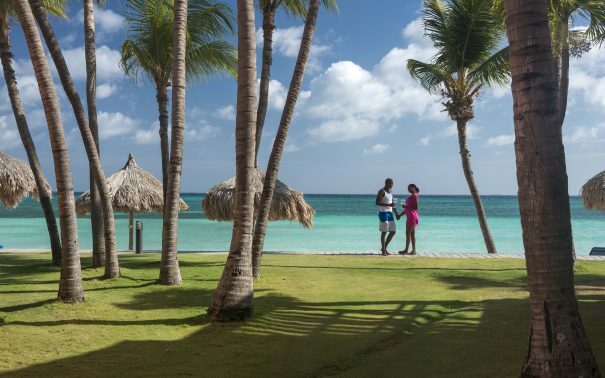 Yes, we’re talking about Aruba—quite possibly the happiest island on the planet. This recent article from USA Today explains just how this small nation can make such a bold claim. Quite simply, it involves perfect weather (Aruba is outside of the hurricane belt), perfect beaches (Palm Beach and Eagle Beach are famously family-friendly) and perfect entertainment (festivals like the Soul Beach Music Festival lead to fabulous week-long beach parties). You can read the full article from USA Today here. Aruba definitely lives up to the hype! As travelers like to say everywhere…when in Rome, do as the Romans do. So, in St. Maarten, enjoy a hint of guavaberry in your meal, or a splash of guavaberry liqueur in your cocktail. Chances are you won’t taste guavaberry anywhere else in the world. These little wild berries—no relation at all to guava—grow high in the hills in the center of the island. Although they can be found elsewhere in the Caribbean, locals speculate St. Maarten is the only place the guavaberry truly thrives. It’s a central part of local folklore and traditional cuisine. Guavaberry jam and guavaberry liqueur can be found all over the island. At the Seabreeze Restaurant and Gizmo’s Bar & Grill at Divi Little Bay Beach Resort, the bartenders love mixing up cocktails that feature guavaberry liqueur. We recommend the Guavaberry Martini. Not far from Divi Little Bay Beach Resort, you will find the Sint Maarten Guavaberry Company on Front Street in Philipsburg. Here you can learn everything you’d ever want to know about guavaberry but didn’t know to ask. Guavaberries are rare, have decades of history and are a rather unique species in the plant kingdom. The juice of these precious berries are mixed with rum and sugar and then aged to create the liqueur. In addition to offering a wealth of information on guavaberries, the company also operates a shop, so you can buy a bottle of the liqueur, which means…that when you arrive home, you can still do as the Sint Maarteners do. Weather forecasts might have you thinking that January and February is the time to escape to St. Croix, but gourmands will suggest April as prime-time for visiting this warm and wonderful part of the US. April is when the St. Croix Food & Wine Experience takes place, a three-day gustatory extravaganza, which annually prompts noted chefs and food and wine lovers to go dashing to the island. St. Croix is at its most festive and hospitable then and vacation packages abound. Divi Carina Bay All-Inclusive Beach Resort & Casino offers the ideal location because it plays host to the festival’s premier opening event: The Taste of St. Croix on April 6, 2017. Imagine sampling authentic regional fare, celebrity chef creations and special vintages from wineries around the globe on a starry, breezy, beachy night just steps from your balcony or patio. That’s precisely why the Taste of St. Croix is a sell-out year after year, and therefore requires a little advance planning to score a ticket. Divi Carina Bay has made it easy for 2017. 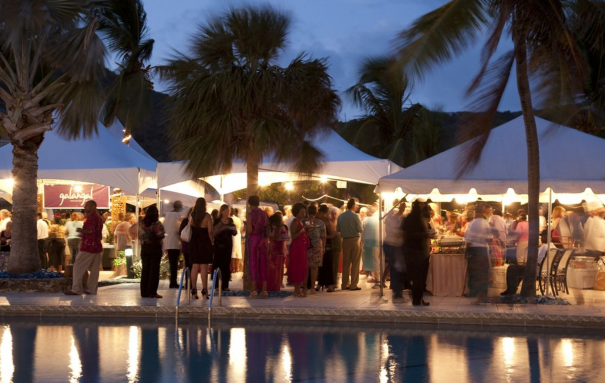 Their Taste of St. Croix package offers a special discounted rate of $167 per person per night* that includes a free ticket for each registered guest to Taste of St. Croix (a $95 value). Book your stay and Bam! You’re going to the biggest party on the island all year. *Rate is based on double occupancy.